Piñatex™ was created by Dr. Carmen Hijosa, founder of London based startup Ananas Anam, which manufactures it. She worked in both the design and manufacture of leather goods for many years before she began research into the development of products made from natural fibres. She wanted to bridge the gap between leather and petroleum based leather alternatives with the goal of developing textiles using only processes that enhance the well-being of the planet through the entire life cycle of the products. A big breakthrough came when she realized that she could make a non-woven textile (a fabric bonded together without knitting or weaving) from the long fibres found in pineapple leaves. 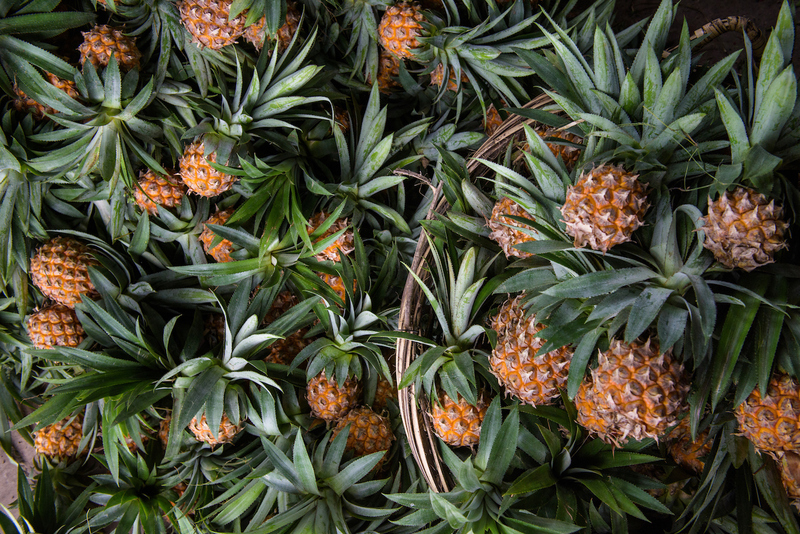 The culmination of her work resulted in the creation of Piñatex, a unique natural and sustainable textile made from pineapple leaf fibres, a by-product from the pineapple harvest. 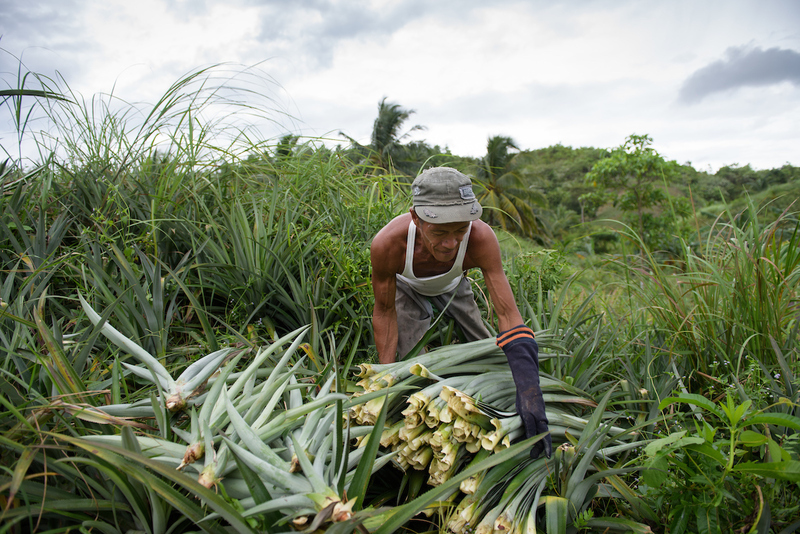 The fibres that make Piñatex™ come from pineapple leaves from the Philippines. 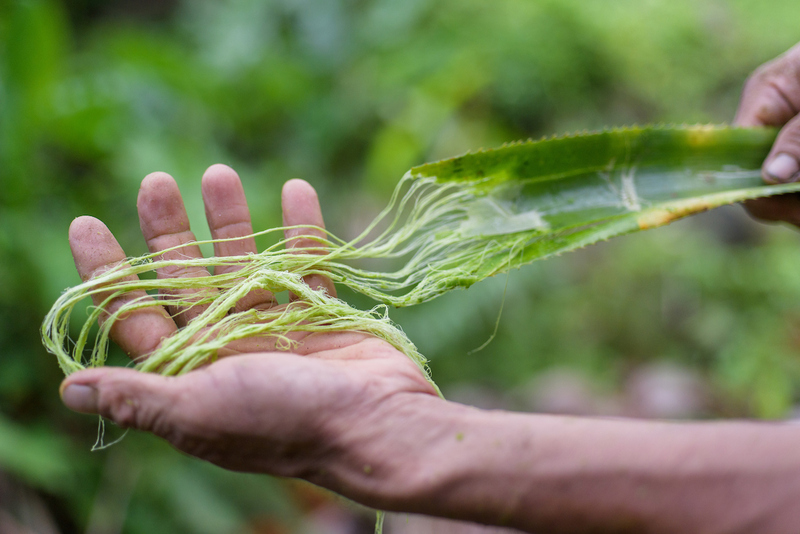 The fibres are extracted from the leaves during a process called decortication, which is done at the plantation by the farming community. Furthermore, the by-product of decortication is bio-mass, which can be further converted into organic fertilizer or bio-gas. 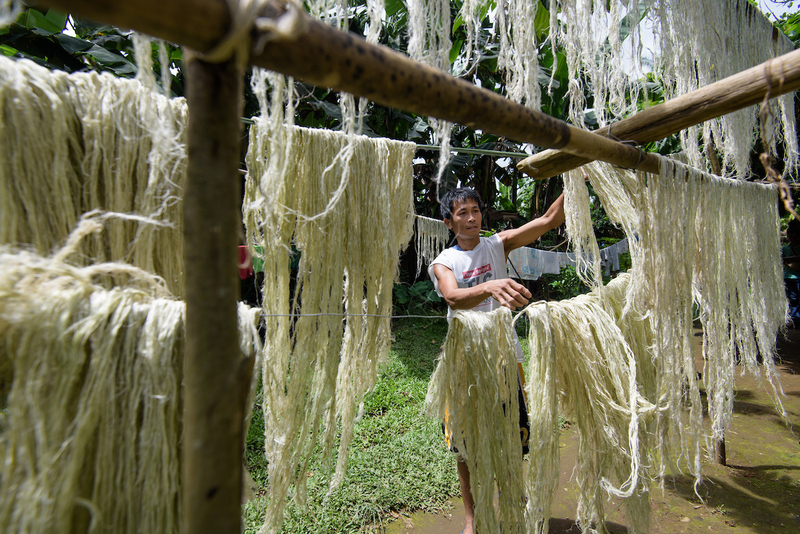 Both the extraction of the fibers and the consequent bio-mass will bring added revenue stream to the farming communities. The fibres then undergo an industrial process to become a nonwoven textile, which is the base of the material. The final step is finishing the fabric which is done by a company in Spain before being shipped all over the world. We are so excited about our new Piñatex Collection, not only because we are using this new, innovative, sustainable material, but also because it is the first time we are launching products in addition to the belt bag. Our new collection includes two belt bags, of course, but also a crossbody commuter or overnight tote and a small, matching zippered wallet. For this collection, we combined the rugged, edgy look of the Piñatex with our soft, elegant, eco-suede (made from a mixture of recycled plastic bottles and post-industrial recycled polyester) to create a sophisticated, unique collection that goes with just about anything. Which style is your favorite?